At one time, you had a choice of rail routes to travel between Buxton and Manchester. 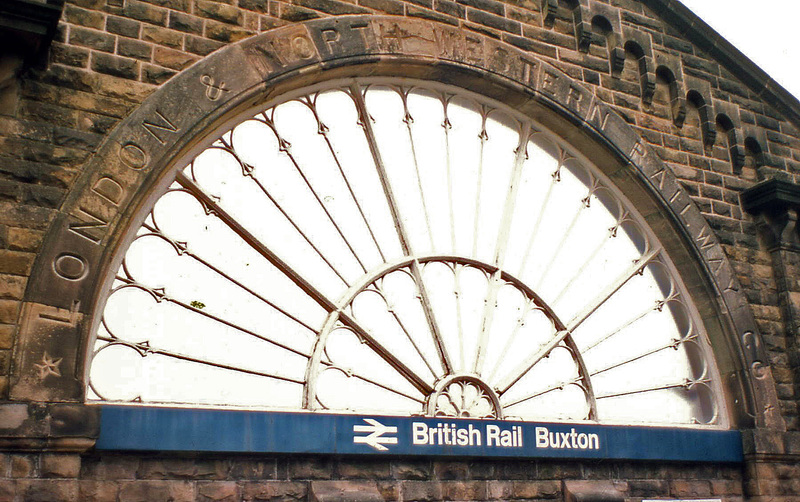 As a result of farcical Victorian competition, there were two Buxton stations, served by two companies, running between Buxton and Manchester by completely different routes. The London & North Western service, which survives, took a reasonably obvious way over the hills to Whaley Bridge and Hazel Grove, where it joined the main line through Stockport to Manchester. 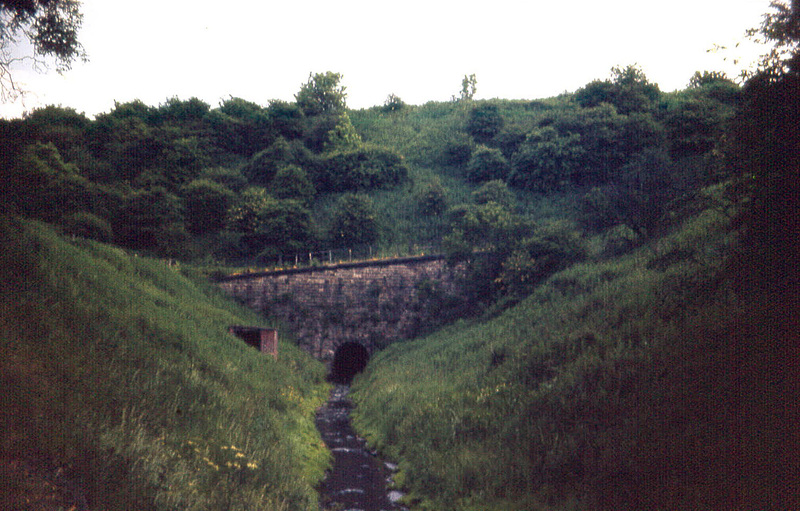 The Midland route, which was a by-product of that company’s desperate dash to find an independent route from Derby to Manchester, dived through deep Derbyshire limestone dales and a lengthy, 1½-mile long tunnel at Dove Holes, to link with the Cheshire Lines into Manchester Central. Though the Midland line passenger service closed in 1967, almost all of the track is still in place for use by mineral trains. Only the approach tracks into Buxton and the Midland station have gone, replaced by the town’s inner relief road. Present-day trains run into the North Western platforms, and though the train-shed roof has been demolished, the distinctive gable with its Crystal Palace fanlight window remains. The adjacent Midland station was a mirror-image of this. The shape of the window hints at the involvement of Sir Joseph Paxton, the 6th Duke of Devonshire’s head gardener and a Midland Railway director. It seems that the Duke, as principal landowner, insisted that the two stations should sit harmoniously side-by-side, and Paxton was instructed to advise the architect, John Smith. Indeed, when the two companies opened on May 30th 1863 it seems that the inaugural dinners were scheduled to begin an hour apart. Presumably, Paxton turned up to both, and got two starters and only one pudding. 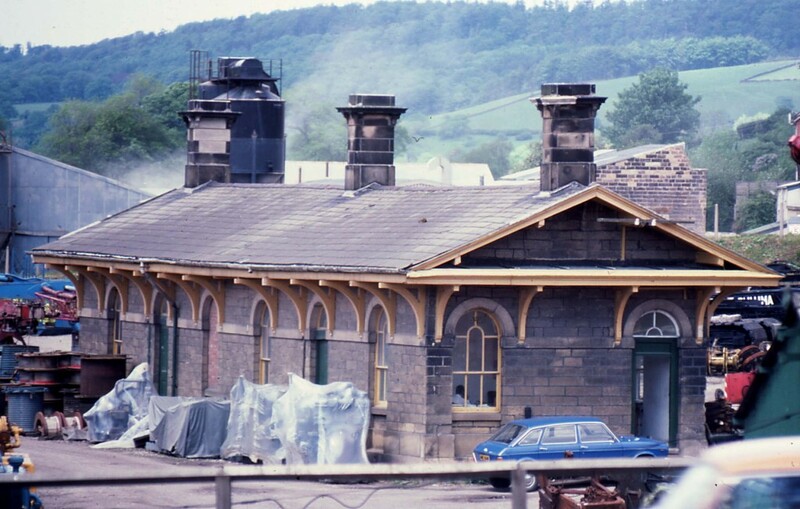 A full and well-illustrated account of the Buxton Midland station can be found at http://www.disused-stations.org.uk/b/buxton/index.shtml. This entry was posted in Fun Palaces, Taking the Waters: the history of spas & hydros – Derbyshire, The Derbyshire Derwent Valley, Victorian Architecture, Waterways & Railways across the Derbyshire Peak on January 7, 2014 by Mike Higginbottom. 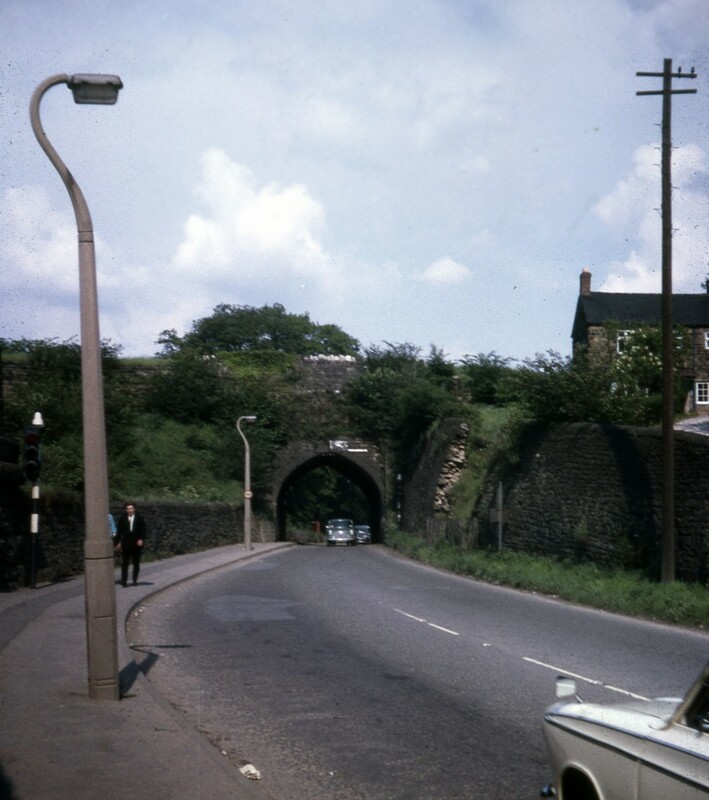 My blog-article about the Cromford Canal caught the attention of Hugh Potter, the Archivist of the Friends of the Cromford Canal, partly because of the 1963 image of the west portal of the Butterley Tunnel, which is no longer recognisable because of the construction of the A61 Ripley by-pass. Hugh asked what other images I had from that period, and very kindly rescanned them for me to a higher resolution than my scanner can achieve. They’re now displayed on the Friends’ website at http://www.cromfordcanal.info/archives/mharchive/mh1.htm. The Friends exists to work towards the entire restoration of the Cromford Canal, including its Pinxton and Lea Wood branches. This is clearly the work of a generation, at least. When I pottered around the canal in the 1960s it was virtually intact. In the time it took me to go through secondary school and university, a great bite was taken out of it at Ambergate to build a gas-processing plant, and other stretches were lost to road improvements and opencast coal working. The current state of the entire line can be seen at http://www.cromfordcanal.info/images/map_large.jpg. At the moment, only six hundred yards of the Cromford Canal are accessible from the inland-waterways system: above the first lock at Langley Mill, a stretch exists as moorings for boats that have travelled up the Erewash Canal. Beyond that, the course of the canal was obliterated by opencast mining in the 1960s: six locks and 2½ miles of waterway must be completely rebuilt to connect with the surviving flight of locks to Ironville. Here, well-intentioned but over-enthusiastic flood prevention works have wrecked the top locks which were, until 1985, virtually intact, though the gates had been removed and concrete cills installed to carry overflow. What would have been a restoration will now become a major rebuilding. Now is not the time to expect enormous financial support from outside bodies, but the Friends quietly beaver away reversing the decay and encroachments of nature: http://www.cromfordcanal.info/restoration/eastern.htm. It’s the work of volunteers and their determination, for which ‘heroic’ is not too strong an adjective, that kickstarts the recovery of amenities which shouldn’t have been squandered in the first place. One day, boats will sail again up to Ironville and to Pinxton, and in time through the Butterley Tunnel and on to Cromford. It worked on the Rochdale and Huddersfield Narrow Canals, and it’s happening on the Chesterfield. It’s only a matter of time – and timing. This entry was posted in Transports of Delight, Waterways & Railways across the Derbyshire Peak on January 5, 2014 by Mike Higginbottom. The history of inland waterways in Britain has gained a fresh chapter within the past generation. When the author Tom Rolt (1910-1974) struggled to navigate silted and derelict waterways before and after the Second World War in his narrow boat Cressy it seemed inevitable that water transport had at best a minimal place in the future economy. Not least through the campaigning energy of Rolt and his quarrelsome colleagues who founded the Inland Waterways Association, political momentum built up, first to save barely navigable waterways from destruction and ultimately to resuscitate canals that were thought irretrievably lost – among them, the Rochdale, the Huddersfield Narrow, the Chesterfield, the Hereford & Worcester, the Lancaster, the Manchester, Bolton & Bury and the Montgomery. 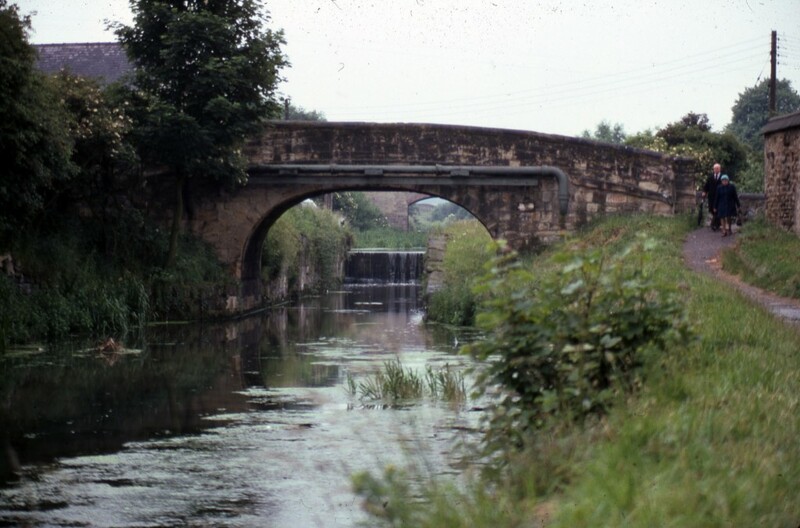 Now canals that were proposed over two centuries ago and never built – such as the link between the Sheffield and Chesterfield Canals – are seriously discussed –http://www.waterways.org.uk/waterways/waterway_restoration/north_east___yorkshire/other_restoration_campaigns/other_restoration_campaigns. There is clearly much more to this than air-headed enthusiasm. The growth of leisure boating (of which Tom Rolt was a famous pioneer), the real-estate possibilities of waterside property and the recognition that waterways are an amenity not an eyesore have led to an environmental revolution. My first personal experience of inland waterways was exploring the Cromford Canal in Derbyshire in the early 1960s, just as its course was repeatedly broken up by mining subsidence, opencasting, road upgrading and industrial development. Fifty years later, the upper five miles from Ambergate to Cromford is now a Site of Special Scientific Interest [SSSI] while the bottom three miles from Ironville to Langley Mill has been completely obliterated by opencast mining. In between, the obstructions include industrial installations, at least one bungalow and a major trunk road. Repeated collapses within the Butterley Tunnel put paid to through traffic as far back as 1900 and provided easy justification for abandoning this particularly scenic waterway. In fact, now that coal mining has ceased in the area, the tunnel appears to be stable, and an intrepid canoeist, Robin Witter, surveyed a substantial length of it in 1979. His images are available at http://www.cromfordcanal.org.uk/vcanal/tunnel.htm. The Wikipedia entry on the Butterley Tunnel indicates that a further exploration by Tina Cordon took place in 2006 [http://en.wikipedia.org/wiki/Butterley_Tunnel]. It’s no longer facile to suggest the restoration of long-vanished canals. There are now sufficient examples of resurrected waterways to provide economic and amenity arguments for schemes that in Rolt’s time seemed utterly impractical. In each case, it won’t happen quickly, but that doesn’t mean it won’t happen. For more information see the website of the Waterway Recovery Group – http://www.waterways.org.uk/wrg. This entry was posted in The Derbyshire Derwent Valley, Transports of Delight, Waterways & Railways across the Derbyshire Peak on December 28, 2013 by Mike Higginbottom. One of the peculiar attributes of the Cromford & High Peak Railway was that it provided water-supply, not only for its own engines but also for adjacent farms and quarries on the high limestone hills that it traversed. The water was carried along the line in trains of reused locomotive tenders which were filled from a spring at High Peak Wharf. One of these tenders was rescued when the line closed in 1967 and ultimately ended up in the reserve collection of the National Railway Museum. This fascinating but unspectacular piece of railway archaeology would hardly attract attention in the main museum at York, and has been loaned to the Ecclesbourne Valley Railway [http://www.e-v-r.com] in Derbyshire, where it’s locally relevant. 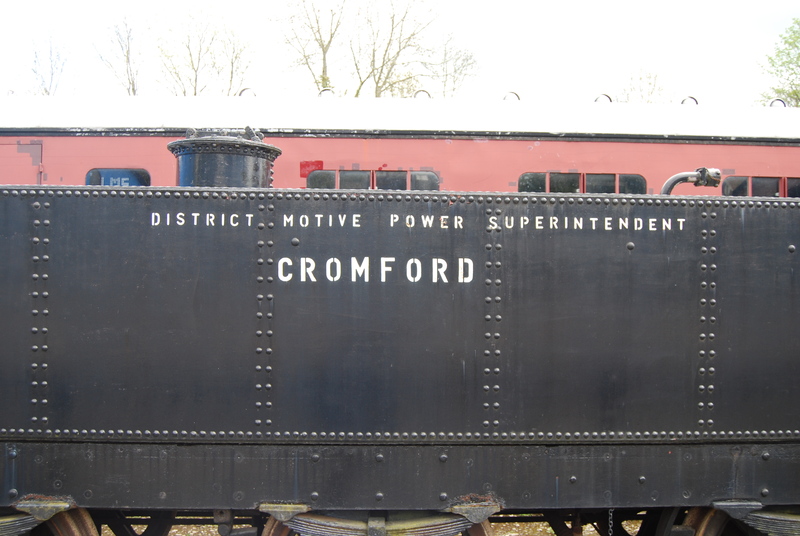 There it stands, in a siding, labelled “Cromford” as you’d expect. Apparently, this is incorrect. Someone at the Middleton Top Visitor Centre [http://www.derbyshire.gov.uk/leisure/countryside/countryside_sites/visitor_centres/middleton_top/default.asp], which is beside the actual trackbed of the C&HPR, has interviewed the last surviving engine-driver, who is adamant the tender at Wirksworth couldn’t possibly have got up the cable-hauled Middleton Incline. It has six wheels. All the tenders based at Cromford had four wheels: indeed, the six-wheeled versions had their middle wheels removed precisely so they could breast the top of the inclines. The tender now at Wirksworth must have come from the other end of the line. Perhaps it should say “Parsley Hay” on the side. Does this matter? Certainly not to 99.9% of the EVR’s visitors. But it shows that to make historical and archaeological facts as accurate as possible, it’s important to listen to living witnesses. Oral history matters, even if it’s as prone to misinterpretation as written or moving-image evidence. This entry was posted in The Derbyshire Derwent Valley, Transports of Delight, Waterways & Railways across the Derbyshire Peak on December 27, 2013 by Mike Higginbottom. Wandering round the Peak Rail site at Rowsley South in Derbyshire, I came across a gentleman in a shed surrounded by more 1960s and 1970s heavy diesel shunting locomotives than you could shake a stick at. Peak Rail provides a home and facilities for a number of specialist rail-preservation societies, and I was intrigued by the work of the Heritage Shunters Trust [http://www.heritageshunters.co.uk], who conserve and commemorate an extraordinary episode in the non-development of British Railways. When the Attlee government nationalised the railways in 1948, the initial policy was to run the railways on steam and coal-fired electricity to make best use of the British coal industry. Only later did the cheapness of imported oil become economically irresistible. After British Railways decided in 1955 to phase out steam (having built over 3,500 locomotives since 1948, 999 of them to brand-new designs) there was a rush to obtain sufficient diesel locomotives on a one-for-one replacement basis. 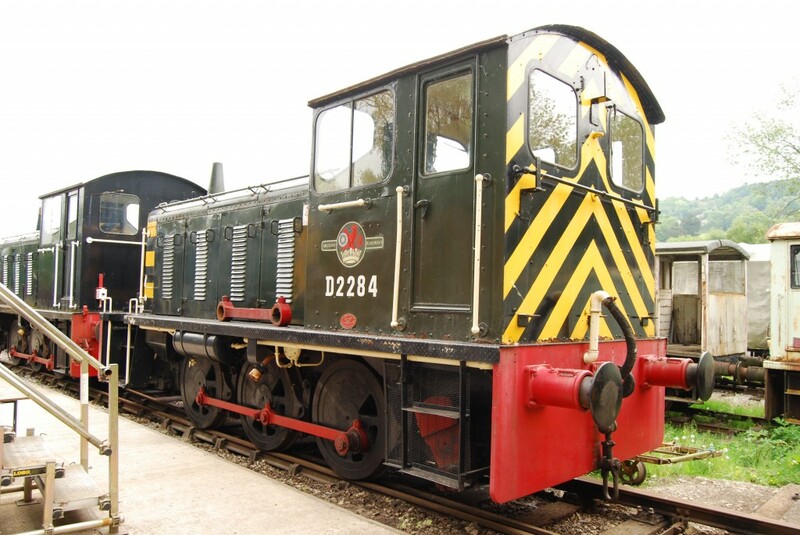 In particular, small, heavy-duty steam shunters were replaced by a great variety of diesel equivalents, some to designs which had not been fully tried and tested. This policy ignored the fact that single-wagon loads of freight were diminishing, as road transport became more efficient and cost-effective. By the mid-1960s increasing amounts of rail freight were moving in train-loads not wagon-loads and there was less and less need for shunting locomotives. This huge, diverse fleet proved to have been a waste of money, and not all of them were capable of doing the job they were intended for. As pieces of engineering history, however, the different designs are fascinating. There are over twenty of these engines at Rowsley, some fully restored, others awaiting attention. I asked my guide what the display policy was – is it an art gallery of locomotive design, or do the workable engines have a practical function? There is, after all, not much more shunting to do at Rowsley than there was on British Railways after the 1960s. The major annual jamboree when the working shunters get an outing used to be the Shunter Hunter weekend when the Trust took over the Peak Rail line and worked all the passenger services. This puts up to ten shunting locomotives on the line. If it raises funds to help volunteers preserve the engineering heritage it’s a worthwhile enterprise. And it’s entertaining into the bargain. The Shunter Hunter weekend has now become part of Peak Rail’s Diesel Weekend: http://www.peakrail.co.uk/dieselweekend. The Ecclesbourne Valley Railway runs an excellent ‘Rails and Quarries‘ tour from their Wirksworth station, using their diesel railcar to run up the steepest section of line in use in the UK – 1 in 27 – to Ravenstor, the foot of a slightly mysterious incline that connected with the Cromford & High Peak Railway at Middleton Bottom. The day I visited, the guide was Vince Morris – informative, professional and endlessly patient with people who struggle with stiles. 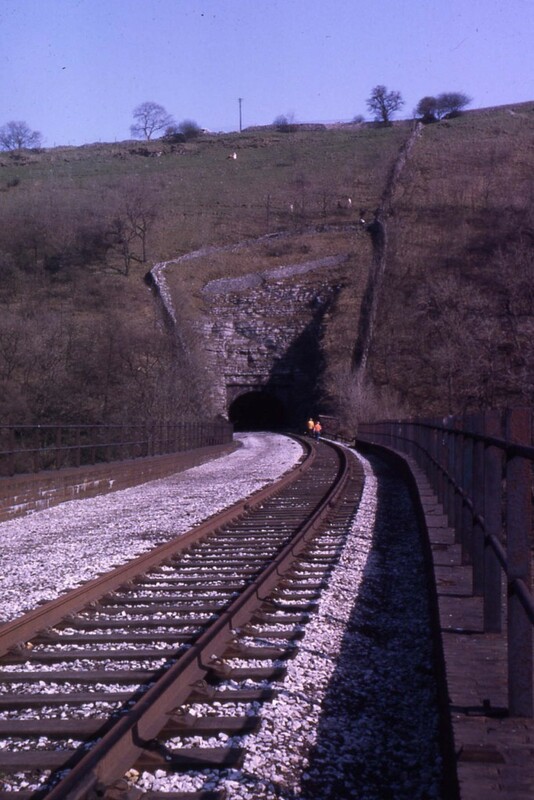 His itinerary involved a steep climb through the National Stone Centre [http://www.nationalstonecentre.org.uk] to the High Peak Trail [http://www.derbyshire-peakdistrict.co.uk/thehighpeaktrail.htm], which follows the trackbed of the Cromford & High Peak Railway, up the 1 in 8½ incline to Middleton Top Engine House and then over the fields and through the derelict moonscape of Middle Peak Quarry and back through the centre of Wirksworth. 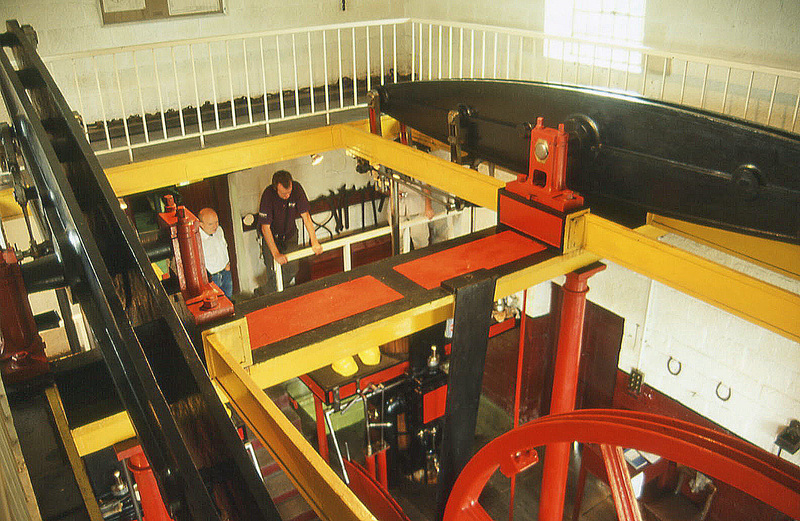 Middleton Top Winding Engine [http://www.middleton-leawood.org.uk] is an interesting survival, the only remaining example of eight built by the Butterley Company to haul trains up and down the inclines which in 1825 were judged the most effective and economical method of running a railway over the Peak massif. William Jessop II was a director of both the Butterley Company and the C&HPR: his younger brother, Josias, had engineered the railway though he died during the construction period. The total cost of the railway, when it was completed in 1831, was £149,206 16s 8d. Of this the eight winding engines cost £20,000. More significantly, the largest single item of expenditure was for cast-iron rails, provided by the Butterley Company for £61,950. The Butterley Ironworks was incapable at that time of manufacturing wrought-iron rails, so that when the railway wanted to replace horses with locomotives (as Josias Jessop had suggested in his initial specification), the track couldn’t stand the weight and had to be re-laid in wrought iron from end to end. As the Americans say, do the math. This unique railway, which was technologically sound when it was promoted in 1825 and an anachronism almost as soon as it opened in 1831, continued to work with periodic modifications on the principle that if it works, don’t fix it. Middleton Top stopped winding in 1963, but at the Sheep Pasture Incline further down the line a steam engine built in 1883 was replaced with an electric winder in 1965. The entire line finally closed in 1967. As the French say, C’est la vie. 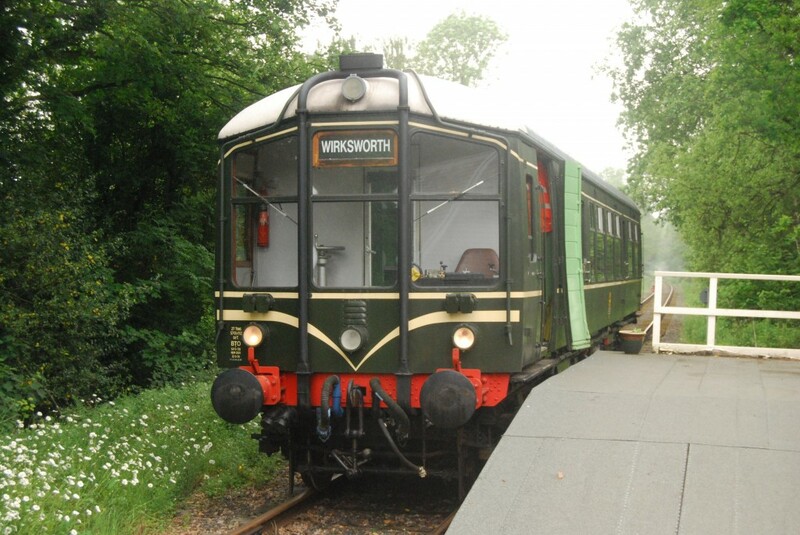 Events on the Ecclesbourne Valley Railway can be found at http://www.e-v-r.com/ticketing/events10.htm. The stretch of the Cromford & High Peak Railway between Whaley Bridge and Hindlow, some of which was abandoned as far back as 1892, can be explored from the comfort of an armchair thanks to http://picasaweb.google.com/montyburns56/CromfordHighPeakRailway. I’m grateful to Paul Jones for this link. This entry was posted in The Derbyshire Derwent Valley, Transports of Delight, Waterways & Railways across the Derbyshire Peak on December 26, 2013 by Mike Higginbottom. There’s a sleepy little branch line up the Ecclesbourne valley in Derbyshire, from the former Midland main line at Duffield to the market town of Wirksworth. Since 2002 a group of volunteers have been reviving it for tourist traffic. Its survival is unusual, but nothing like as unusual as its origin. For complicated reasons of Victorian railway politics, there was a possibility in the 1860s that the Midland Railway’s line from Derby to Manchester might be blocked by its competitor, the London & North Western Railway, when the joint lease on the section between Ambergate and Rowsley ran out in 1871. In case this happened, or perhaps to prevent the L&NWR making trouble, the Midland built the branch up the Ecclesbourne valley as far as Wirksworth, which is as far as any reasonable railway line would go. Beyond that, they secured the right to tunnel under the hills, crossing the Via Gellia road on a 280-yard-long viaduct, emerging into daylight above Matlock and dropping down the Derwent Valley to their newly-built line from Rowsley westwards. If it had been built it would have been even more heavy-duty than the “flute” line through Monsal Dale, Miller’s Dale and Chee Dale. It would have been a stiff challenge to drive expresses and – even more – coal trains up the grade, through a series of lengthy tunnels and round tight curves under the Heights of Abraham. The Wirksworth-Rowsley extension was never built, and instead trains pottered up and down the Wirksworth branch, carrying limestone, milk and passengers. The milk and passengers went over to road transport before and during the Second World War, but the huge Middle Peak Quarry kept the railway running until 1989. Then, when the quarry was mothballed, the railway was left intact but utterly neglected, so that by the time the Ecclesbourne Valley Railway crews had the go-ahead to bring it back to life it was an 8½-mile-long jungle. Whereas most railway-preservation groups have to lay fresh track, as did the EVR’s neighbours at Peak Rail, here the heavy work has been clearing out blocked culverts and replacing rotten sleepers. The line is open up the existing main line at Duffield so that passengers can connect with East Midlands trains’ hourly Derby-Matlock service. The main-line connection has been severed and, so I’m told, there’s only a minimal chance of it being reinstalled. The EVR can provide a worthwhile passenger service with steam locomotives and diesel railcars, and Wirksworth is a pleasant market town with a fascinating history. The future looks promising for this once derelict survivor of a time when railway companies would build their lines almost anywhere. Details of the Ecclesbourne Valley Railway services are at http://www.e-v-r.com.